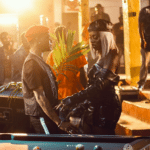 Wizkid and Tiwa Savage were caught kissing in a Ghanaian Club, according to an eyewitness who operates the Instagram handle, @Kmoney. The witness shared a video that captured the romantic moment between the two singers on his Instagram page. 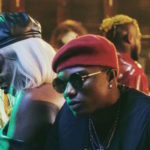 Wizkid and Tiwa Savage were in Ghana for the “Ghana Meets Naija 2018” concert which saw the Starboy reconcile with Ghanaian dance hall singer, Shatta Wale, after the dance hall act threw series of shades at him on Twitter. 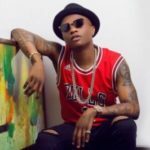 Kmoney has now revealed what went down between Wizkid and Tiwa in Ghana. 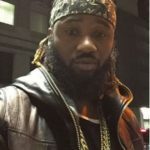 He posted a video showing the two singers sharing what looks like a kiss and stated that it happened in a Ghanaian club. For a while now, it has been rumored that the two singers are in an amorous relationship. 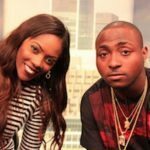 The rumor started just after Tiwa Savage severed her marital ties with her ex-husband, Teebillz. 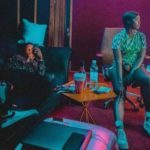 Rumors about the relationship between Wizzy & Tiwa has since been fueled by suggestive social media posts, leading pictures and suspicious videos like the one Kmoney recently shared. The definition of cheap publicity.